taking a remote vacation. We provide online security and top-notch customer support from anywhere in the world. 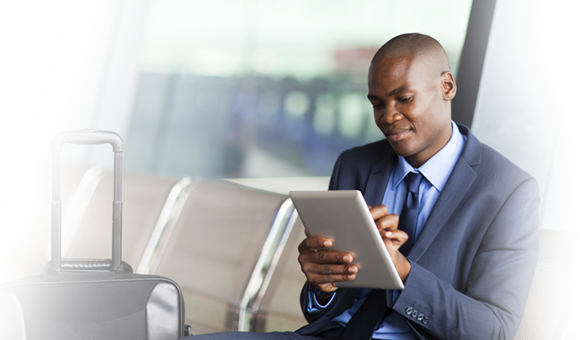 View, store and manage your medical records—anytime, anywhere. Go where your travels may take you; Activ Doctors Online will be there with the tools you need to take control of your medical care or deal with a medical emergency. Activ Doctors Online makes it so that you can consult a physician when you’re at home, or away from home. Getting ahold of your personal health records shouldn’t be a process that you have to squeeze in between travels. With our eConsultations, you can get medical advice from qualified physicians when you need it. No need to disrupt your traveling plans. Being diagnosed for a medical condition abroad can be a stressful situation. If you have questions or doubts about the diagnosis, getting a second opinion is an important first step to take. 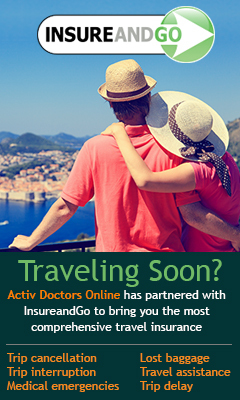 Activ Doctors Online’s Second Medical Opinion program allows travelers to connect with a first-class physician. Our specialists analyze your entire medical history and provide a second opinion.With Activ Doctors Online, you’ll save the time and stress it would take to make an appointment. Getting online access to your health records shouldn’t be complicated. Activ Doctors Online lets your store medical records online and access them securely—24/7, from anywhere on the globe. With our health record storage, you can rest easy knowing that your doctor has what he or she needs to treat you. And we’ve got you covered when it comes to security—our digital data encryption and storage system uses the latest technology. Want to learn more about any of our services? sign up for a free 30-day trial to get started with Activ Doctors Online.